Win a major title and confidence blossoms; nowhere can they be more relevant than in the career of Emmanuel Lebesson. 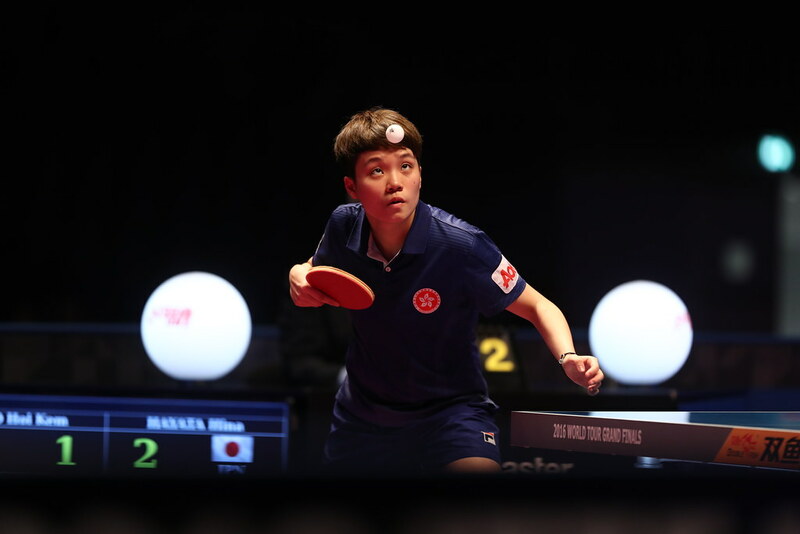 Always competitive, his best on the ITTF World Tour being a semi-final place in Santos at the 2012 Brazil Open; however, for over a decade of effort he was never able to climb the next step. On Friday 3rd February, on home soil in Antibes, the Frenchman underlined the fact that times have changed. Surprise winner on the Men’s Singles title at the Liebherr 2016 European Championships staged in the Hungarian city of Budapest; in his opening contest in the Men’s event at the 2017 ITTF-Europe Cup, the no.11 seed, he beat Vladimir Samsonov of Belarus, the no.2 seed and four times the winner. Maintaining his nerve, the 28 year old emerged successful against arguably the most experienced player on duty, in a full distance five games duel decided by the very narrowest of margins (13-15, 11-4, 6-11, 11-6, 11-9). “It’s a big win for me because I didn’t know my form before this tournament and I’m happy to beat this type of player because he is just a hard player in the group and I know that this afternoon will also be very hard to win against two big players. It is really good to win the first match and to win as fast as you can because it’s the first match, we will see this afternoon. I will try to rest to have energy for this afternoon”, Emmanuel Lebesson. Even though the reigning European champion, it was success against the odds for Emmanuel Lebesson; meanwhile, in the corresponding group contest the outcome was very much as anticipated. Tiago Apolonia, the no.7 seed, overcame Ukraine’s Kou Lei, the no.12 seed (6-11, 11-7, 11-9, 9-11, 11-7).